Aizpute Cemetery, Aizpute, Latvia. 110 burials total. Aleksandrs Feigmanis is a Latvian genealogist with many years experience. 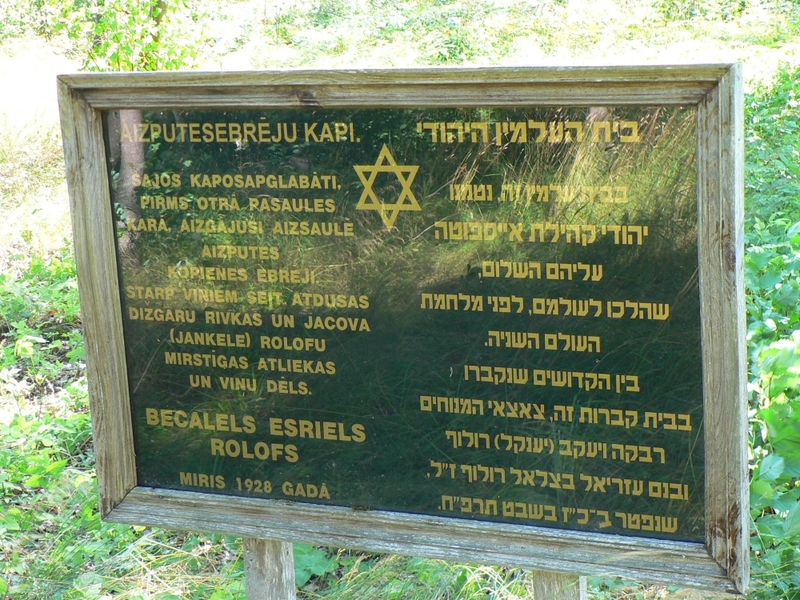 He has documented most all of the Jewish cemeteries in Latvia as well as authoring books on Jewish life in Latvia such as "Latvian Jewish Intelligentsia Victims of the Holocaust." Aleksandrs Feigmanis also offers a commercial service to photograph any tombstone in Latvia for a nominal fee. His website is http://balticgen.com. Photos courtesy of Richard Fridshal (93924). Photos may be freely downloaded.